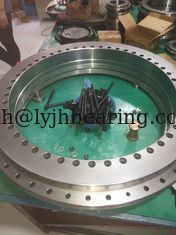 YRT 580 rotary table bearing belongs to consisted of a thrust/radial race, a trust/radial ring, a trust washer, two needle roller and cage asseblies and a set of radial cylinderical rollers. On the race and the ring, there are equally distributed screw holes for mounting. YRT turntable bearing has a high axial and radial capacity, and high declining rigidity and a very high precision. 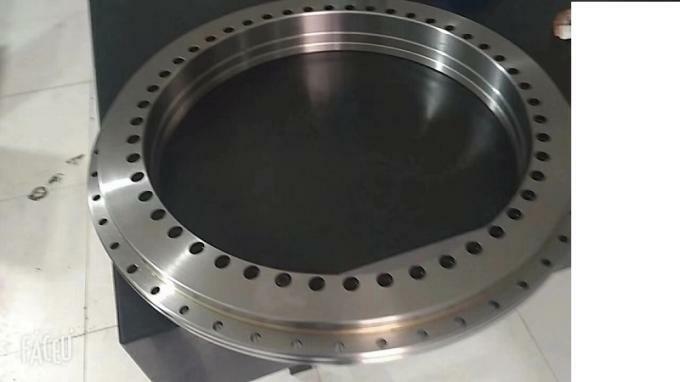 YRT 580 precision rotary table bearing is a kind of bearing fixed by a bidirectional thrust bearing and a centripetal-guided bearing. 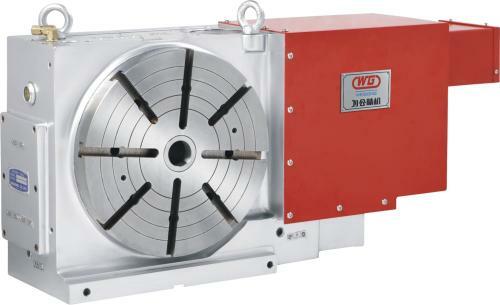 They can support radial loads, axial loads from both directions and tilting moments free from clearance and are particularly suitable for bearing arrangements with high requirements for running accuracy,like rotary tables, millings heads and reversible clamps chucks , milling heads, measuring instruments , test equipment as well as rotary turntable. Due to the fixing holes in the bearing rings, the units are very easy to fit. The bearings are radially and axially preloaded after fitting.